Data Backup vs Business Continuity - What’s the difference? Although overlapping, these terms represent uniquely different mindsets when it comes to data protection. 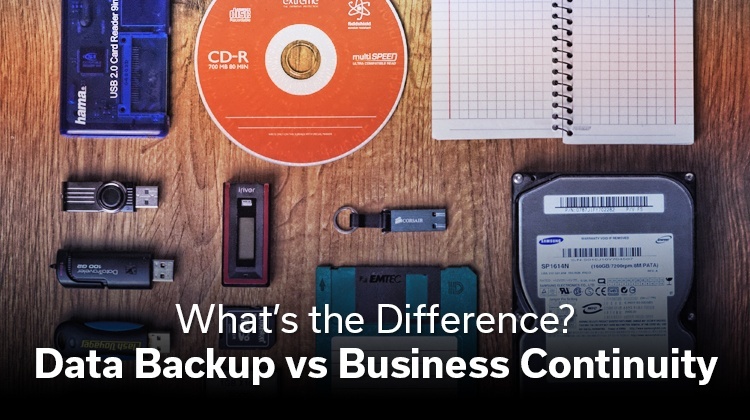 Read this blog post find out...Data Backup vs Business Continuity - What’s the difference? Data backup answers the questions: is my data safe? Can I get it back in case of a failure? Business continuity involves thinking about the business at a higher level, and asks: how quickly can I get my business operating again in case of system failure? Thinking about data backup is a good first step. But in case of failure, you have to get that data back and restore it quickly enough so your business doesn’t suffer. For example, if your server dies - and remember, hardware failure is the No. 1 cause of lost data - you wouldn’t be able to quickly get back to work if you only had file-level backup. For you to get up and running again, your server would need to be replaced, all software re-installed, data re-installed and then the whole system would need to be configured with your settings and preferences. This process could take hours or even days—and in the meantime, your users can’t get their jobs done. And you will be losing money, potentially a lot of it. If you’ve planned for business continuity, however, you’ve thought of all these things. You’ve thought in terms of Recovery Time Objective (RTO), and Recovery Point Objective (RPO). RTO (Recovery Time Objective): The duration of time within which a business must be restored after a disaster or disruption to avoid unacceptable consequences associated with a break in business continuity. RPO (Recovery Point Objective): The maximum tolerable period of time in which data might be lost due to a disaster. By calculating your desired RTO, you have determined the maximum time that you can be without your data before your business gets into serious trouble. Alternatively, by specifying the RPO, you know how often you need to perform backups, because you know how much data you can afford to lose without damaging your business. You may have an RTO of a day, and an RPO of an hour. Or your RTO might be measured in hours and your RPO in minutes. It’s all up to you and what your business requires. But calculating these numbers will help you understand what type of data backup solution you need (See Figure 1 below). How much will downtime actually cost you? Once you determine your RPO and RTO, it’s time to calculate how much downtime and lost data will actually cost you. How many employees would be affected if critical data were unavail- able? What is the average wage of the affected employee (per hour)? What is the per-hour overhead cost of the affected employees? How much revenue would be lost per hour as a result of the unavailability of data? 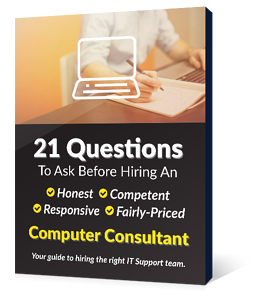 Simply add up the average per-hour wage, the per-hour overhead, and the per-hour revenue numbers and you have how much a data loss will cost you. 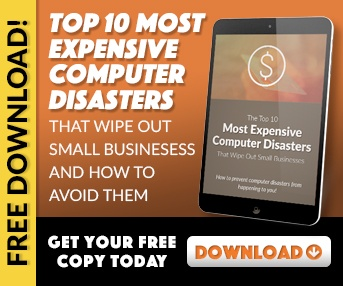 Calculating the real costs associated with data loss gives SMBs a better under- standing of the risks relating to business failure. And thinking about your business in these terms puts your backup solution into perspective. The “it-won’t-happen-to- me” mindset simply doesn’t fly.